No Factory Shells in Link Position. 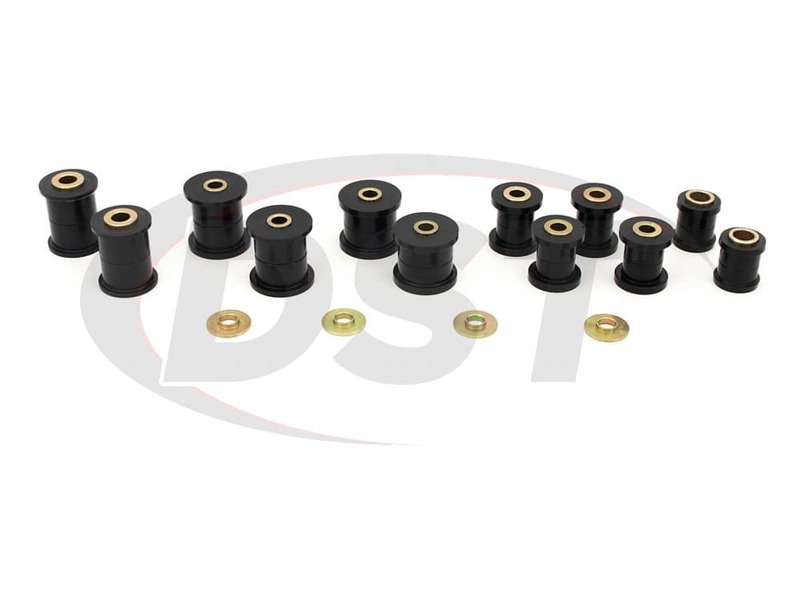 These bushings offer increased responsiveness and handling while also being much more durable than the OE. Constantly having to take your Miata in for realignment? Can't take those corners the way you want to? Misalignment, loss of handling, and banging from the rear end are all signs of failed OE rear control arm bushings. The OE bushings installed on your Miata are made of soft rubber and can absorb most of the vibrations from the road, the downside to this softness is that the bushings are prone to stretching, cracking, and eventually rotting away. When this happens your control arm is left loose, reducing your handling, slowly distorting your alignment, and it could even be banging into other chassis parts, causing even more damage. 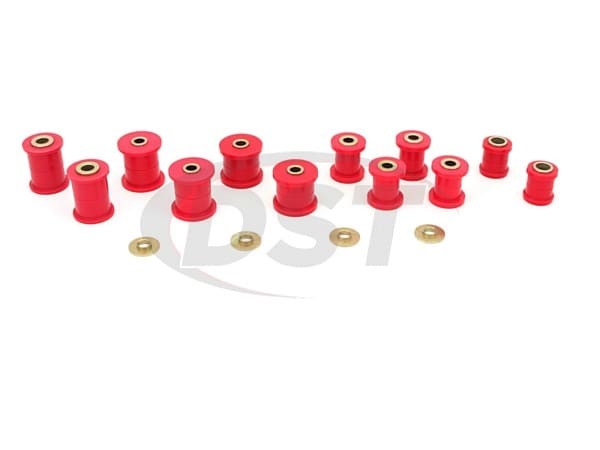 This is Energy Suspension's 11.3110, a Hyperflex polyurethane set of rear control arm bushings designed specifically for your 2006 - 2014 Mazda Miata NC. 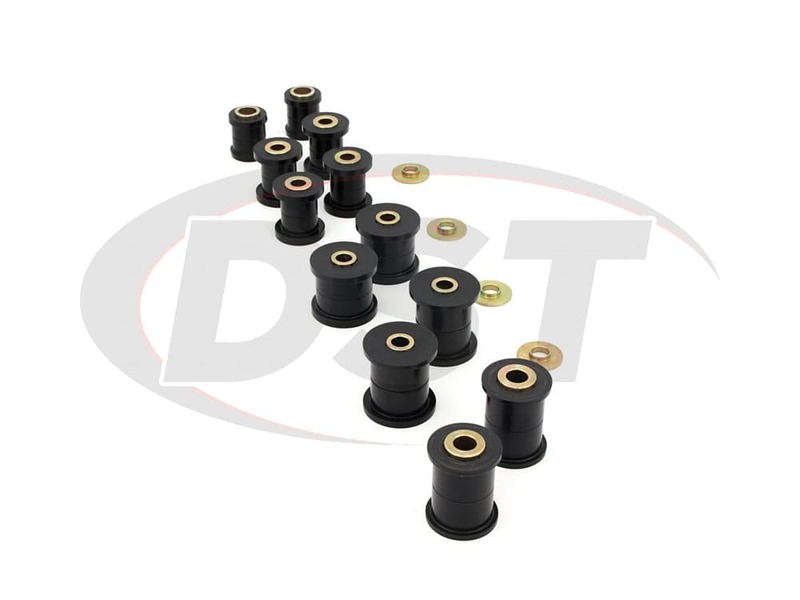 These bushings offer increased responsiveness and handling while also being much more durable than the OE. 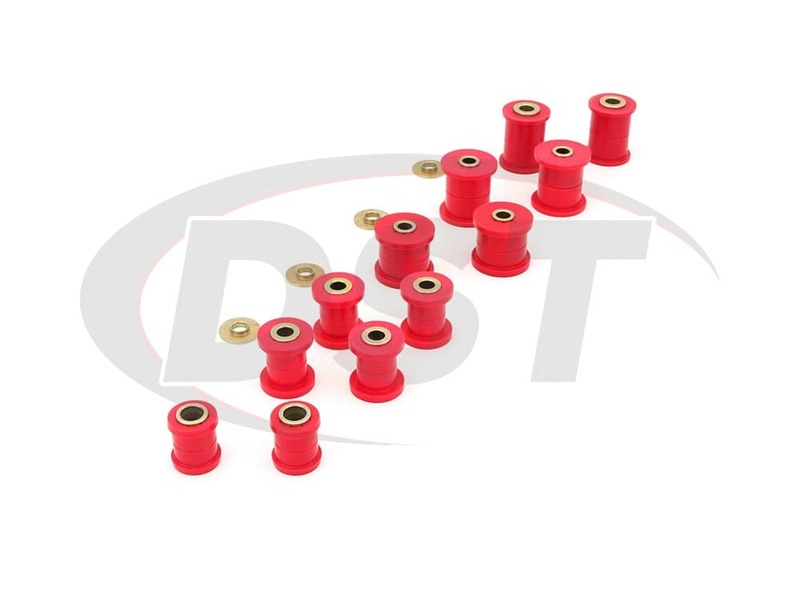 Since these bushings are made of Hyperflex polyurethane your NVH might increase slightly, but the increased durability, longevity, better handling, and dependable alignment are well worth it. Energy Suspension also made the 11.3110 easy to install! 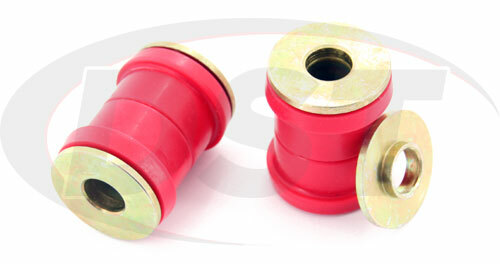 Each of the rear control arm bushings are made as two half-bushing with a metal inner sleeve. Just insert each half of the bushing on either side of the control arm, slip the sleeve through, and using your OE bolts finish the install. The sleeves in the 11.3110 are made to match your OE bolts, saving you money on hardware. 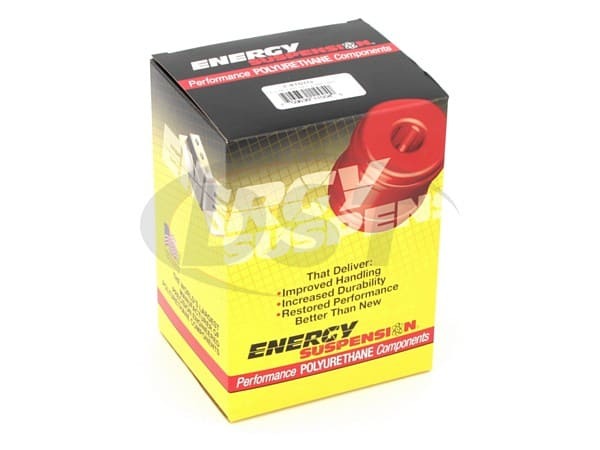 If you're thinking about also replacing your front control arm bushings check out Energy Suspension's 11.3109 to get the complete upgrade.